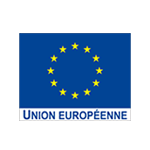 A component of the Laboratory Locations, Identities, sPaces and Activities (CNRS / University of Corsica), the LOCUS platform is a digital interface that can access geo-referenced data in the form of maps, metadata and user-friendly geographical applications. 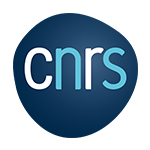 The amplitude, excellence and reputability of this database are guaranteed by the expertise and research conducted by the University of Corsica, and its exemplary partners: IGN (National Geographic Institute), INSEE (National Institute for Statistics and Economic Studies), GIRTEC (Group of Public Interest for the Reconstruction of Land Titles and Deeds), CTC (Local Government of Corsica), DGFiP (The Executive Management of Public Finances), DREAL Corse (Regional Department of Environment, Urban and Country Planning, and Housing in Corsica). 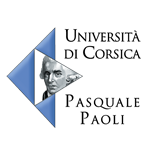 The LOCUS cartographic platform is a major source of research and accessible geo-referenced data concerning Corsica. Elected representatives, local governments, Chambers of Commerce, Federations of Skilled Trades, Tourist Offices or associations of public utility consult research and thematic maps necessary for their projects, analyses, and reports. A considerable volume of geo-referenced information on periodic insular activity, mutations, demographics, et al. 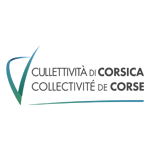 is accessible to individuals as well. The LISA laboratory’s research is accessible through easy to use interactive maps. 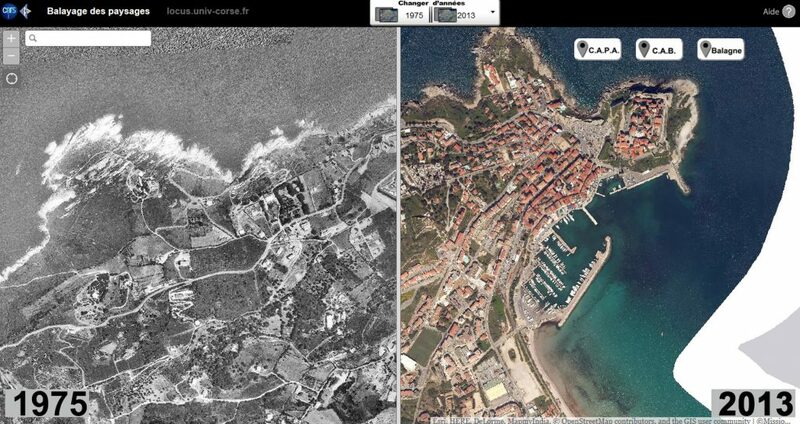 The evolution of various regions is visible by juxtaposing aerial photos from the mid 1970s to 2010s: the Balagna, Bastia and surroundings, Ajaccio and environs, the southern extremity of the island. 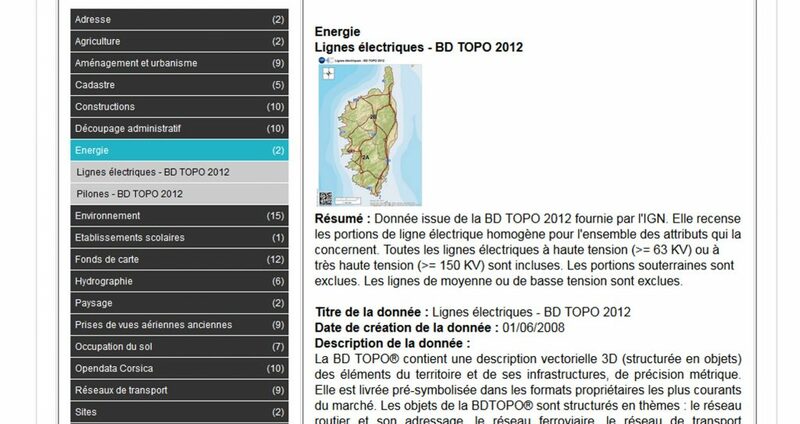 Other interactive maps calculate the viewpoint from any location in Corsica, or service areas for a given point on a designated network. 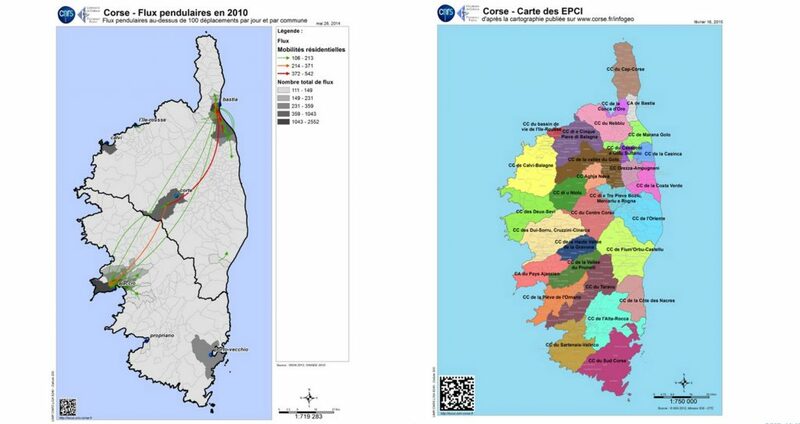 Elaborated by engineers from the University of Corsica and the CNRS, the LISA Laboratory permits open access to thematic maps showing town and country planning, tourism, environment, etc.